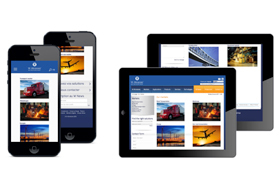 W Abrasives smartphones & tablets versions on line ! How it can simplify your blasting experience! To support its visitors everywhere, at any time, the W Abrasives website adapts its design! You search information about the W Abrasives Premium Offer? 3 new sections are available now in the home page toolbar: “Products”, “Services” and “Technologies” – Until now you found this information in the section “Solutions”! Hope it will awake your interest by selecting the information in one click! You need all the information at the same place? Save your time by using our new templates! All the relevant information in one single page. 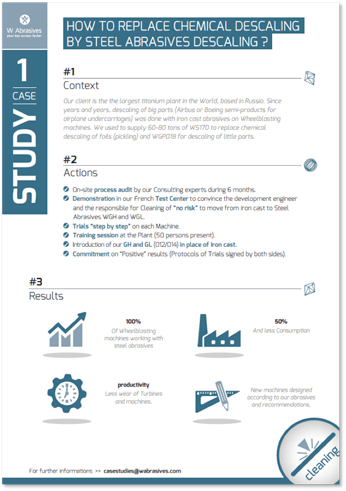 > Section “Applications”: the new template “Case Study” enriches the Application section and we propose you to download and use these study cases to simplify your life by solving your blasting problem. You are connected on social networks? Stay tuned on the W Abrasives You Tube channel and the W Abrasives LinkedIn page and connect you directly from the home. This improvement will contribute to support you in your search. Contact us through W Abrasives website or LinkedIn and share with us your feedback – We continue to implement new functionalities to deliver you a clear, professional and relevant information. 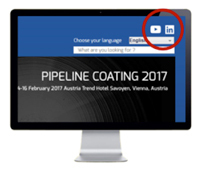 Still go further in the sharing of the information – Think W Abrasives!